As the economy continues to grow and air travel picks up, one of LA’s smaller airports is witnessing a renaissance. While many carriers are adding capacity at Hollywood Burbank Airport, one airline is adding capacity to a tactical assortment of cities. Traffic is way up at Burbank Airport, formerly known as Bob Hope Airport. United has brought mainline aircraft back to its San Francisco and Denver routes, increasing capacity by nearly 25%. Alaska has seen a 29% increase in the number of passengers while Delta is up 10%. JetBlue Airways is doubling its service to New York (JFK) this fall and adding service to Boston (BOS). Then there is Southwest Airlines, the largest carrier at Burbank. 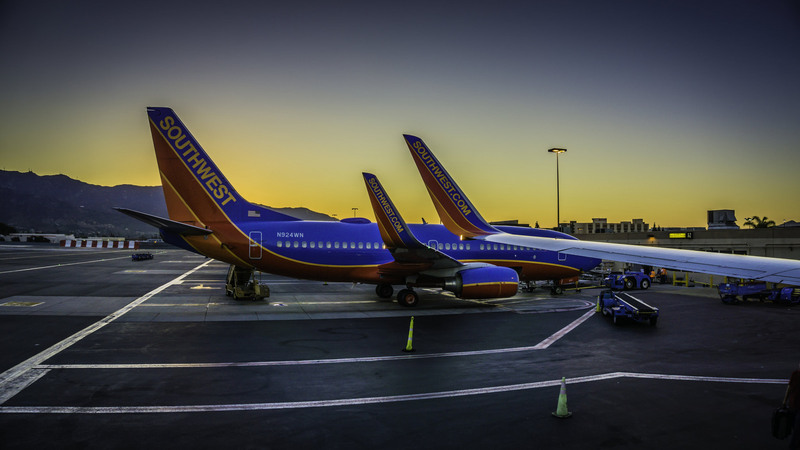 Moving well beyond its network of intra-Califorina and shorthaul western routes, Southwest is expanding with strategic new routes starting in November. As of November 4th, Southwest will add service between Burbank and Chicago Midway (MDW) as well as Burbank and Houston Hobby (HOU). This service will operate six days per week (no Saturday service). Both Chicago Midway and Houston Hobby are operating bases for Southwest. But Chicago and Houston are also United hubs. As air traffic continues to pick-up at Burbank, Southwest’s move is intended not just to expand its route network, but to send a message to United Airlines: we’ll fight you head to head on every route at Burbank. For years, United served its hubs in San Francisco (SFO) and Denver (DEN) without competition. Now Southwest serves both. 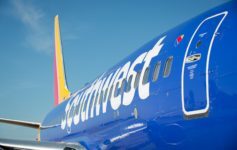 While Houston Hobby is not Houston Bush Intercontinental (IAH) and Chicago Midway is not Chicago O’Hare (ORD), Southwest hope to capture passengers who will prefer the nonstop convenience of Southwest over a connection in Denver or San Francisco on United. Southwest has challenged American and Delta as well. In 2016, Southwest added nonstop service to Dallas Love (LUV). Nearby Dallas/Forth-Worth (DFW) is a mega-hub for American. American ended nonstop service to Dallas after the merger with US Airways and currently only serves Phoenix (PHX) from Burbank. Southwest has served Phoenix for years. Last year, Southwest added service to Salt Lake City (SLC), a Delta hub. Might Seattle and Atlanta be future Southwest routes? Southwest rarely picks a battle it cannot win. With the economy growing, there may be enough pie for both the legacy airlines and Southwest to enjoy a slice, but Southwest is locking in its dominance at Burbank. In the meantime, this is great news for consumers. More routes and larger airplanes lead to lower fares and a better onboard experience. Glad to see (even) more direct options from BUR – still the best lil airport in the LA area in terms of convenience (freeeway close), ease of use (parking, facilities, rental cars all close/within reach) and except for the lack of a lounge (prob forthcoming with the rebuild), much more comfortable than the other LA area options (although I do like the LGB terminal a lot in terms of design! ).